A teacher who did not enjoy smiling in front of public for the past 30 years. She asked me if I could do anything to restore her confidence in smiling. With one smile, I replied, YES. 42 year old body builder who encountered a horrific accident during weight lifting. Restoring teeth that have sensitivity to cold air or cold fluid with biomimetic dental composite. A mother calls our office crying that her daughter chipped her front tooth. With no hesitation we scheduled her to be seen by Dr. Baseri for treatment. An 11 year old girl's confidence was restored in less than 30 minutes. That morning she was scheduled to audition for a film. A 39 year old female whom did not like her smile due to the appearance of her teeth. 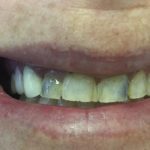 After discussing all options, it was decided to approach this matter through non-invasive dentistry. 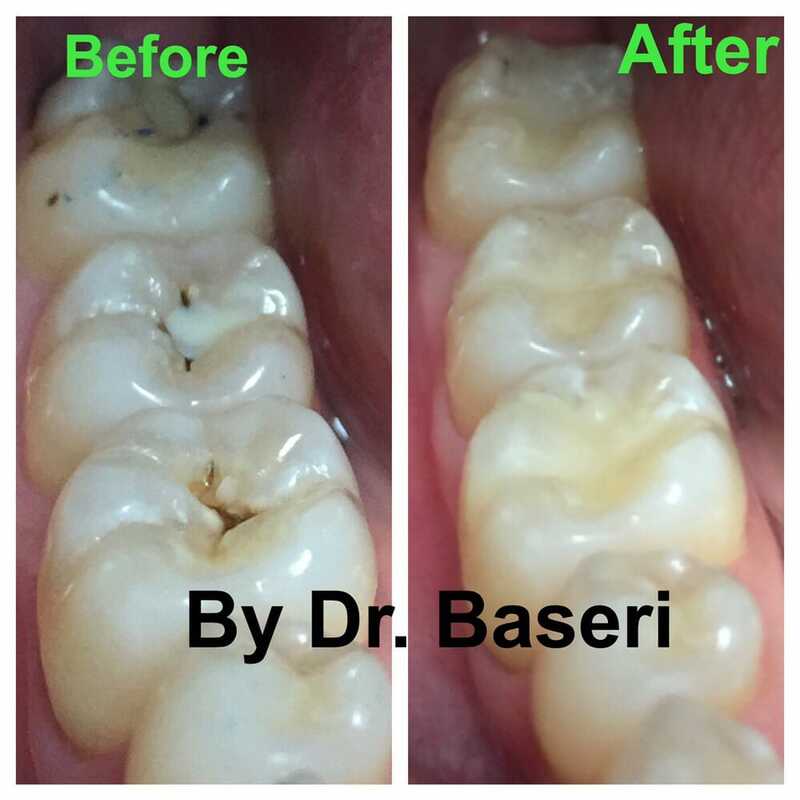 By adding multilayer of composite to existing teeth, not only Dr. Baseri restored the appliance of teeth, but confidence to smile was restored as well. Nothing was taken away from the teeth. A female nurse disliked the appearance of her lower teeth. 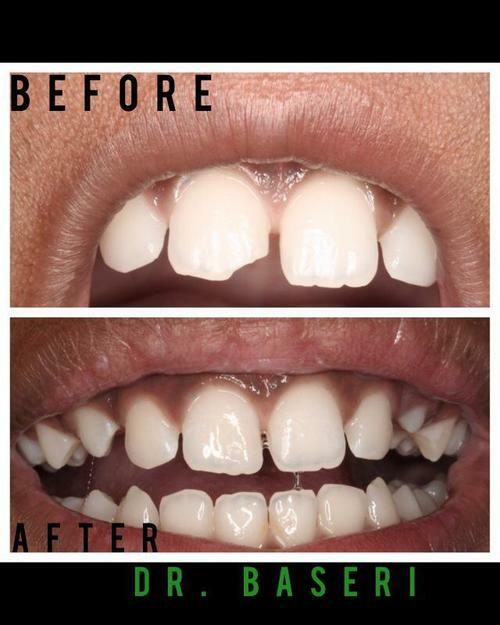 As you can see, lower teeth are not aligned and are different color even after whitening treatment. With other options in hand, her smile was designed through Porcelain crowns. Her smile appearance changed and her confidence was regain. Lack of dental care and financial difficulty lead to poor oral health care. 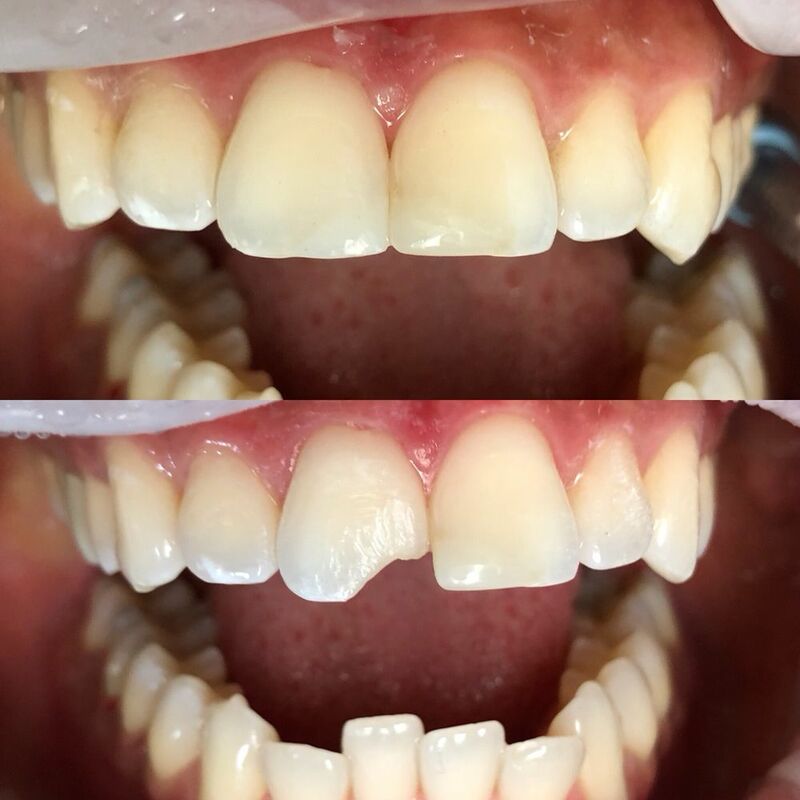 However, with proper care and planning, chewing ability and appearance was restored through full denture with extractions of non restorable teeth. A mucocele (MYOO-koh-seal) is a swelling in your mouth. It can happen when a salivary gland is injured or blocked. Most mucoceles do not hurt. They can be annoying, though. They get in the way of eating or speaking. Shallow mucoceles may burst. They release straw-colored fluid. Deeper ones can last longer. They are more likely to bother you. There are no sutures used for this procedure to close the wound. Utilizing laser, tissue welding gives the best outcome. A 53 Year old Male was not happy with the gap between this upper teeth. 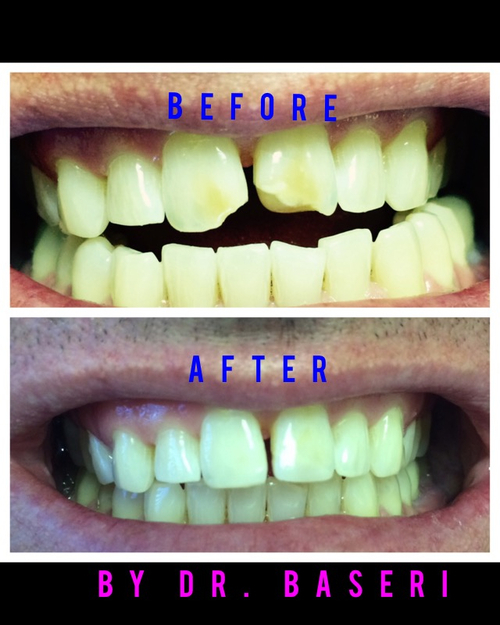 Through porcelain restorations, Dr. Baseri restored patient confidence and addressed his concern. A professional surfer who had an accident 25 years ago during a professional competition finally decided that it is time to rejuvenate his smile. 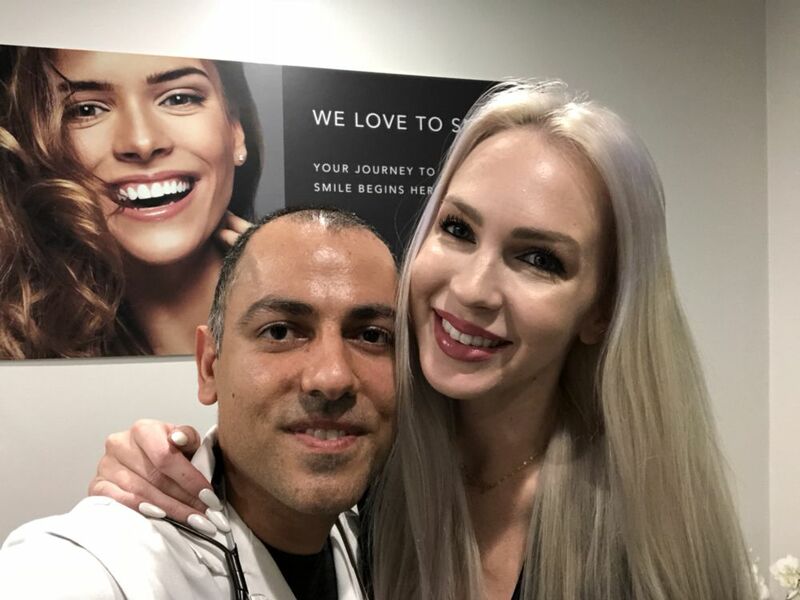 Using top of the line whitening system, Dr. BASERI brightened the smile first , restore the front chipped teeth and then last phase is to close the gap by Invisalign. 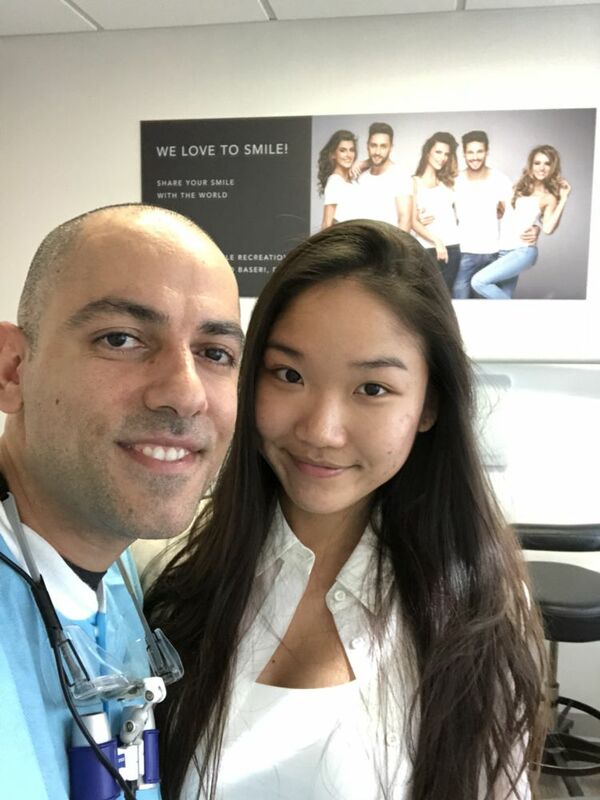 A fearful patient who did not want to be seen by a dentist finally gave another chance to another dentist. With proper "iatrosedation" patient over came her fear at our office. 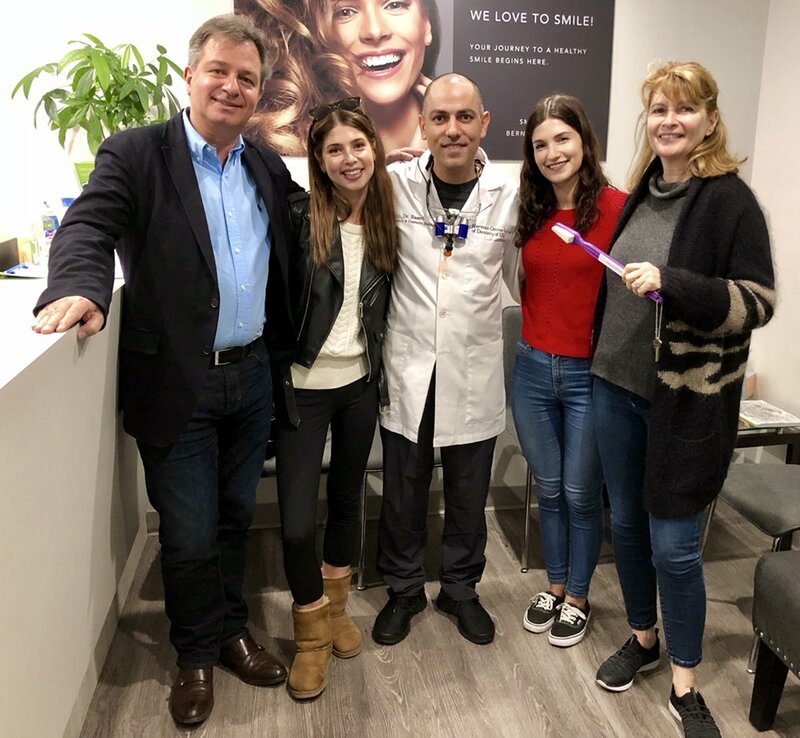 With proper care and understanding she is giving me a chance to restore her self confidence and more importantly her smile. When I see my patient is crying out of her joy, giving me the biggest hug, and I see only happiness in her face, this is what is really mean to me. This is the reward of knowledge, passion, and art coming together in one smile. The result of aggressive brushing teeth resulted in sensitivity and abrasion of gums and tooth structure. 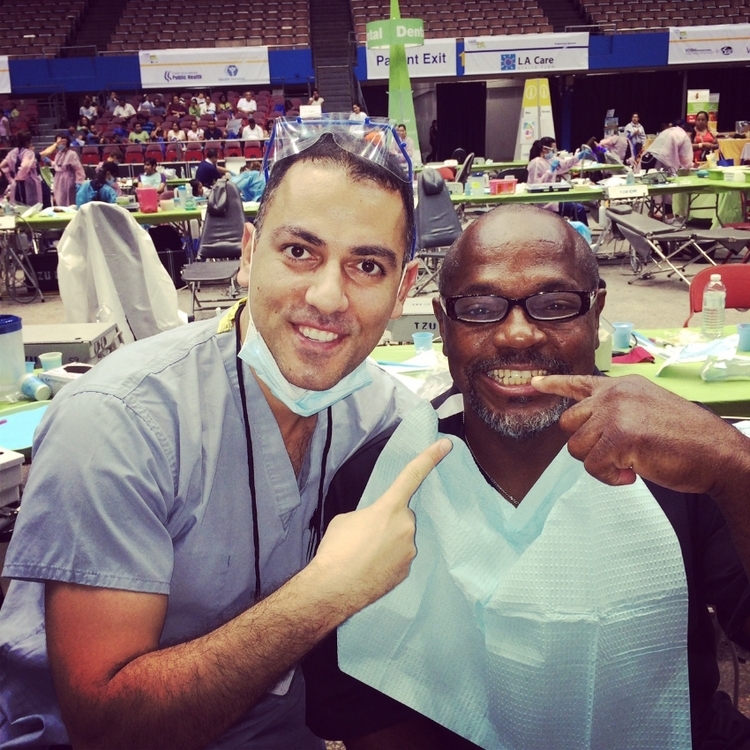 Dr. Baseri using none-invasive dentistry has restored this patient's smile. Last call of the day ended with an emergency call and a happy camper. Nothing more satisfying than putting a smile on a 9 year old kid with the father having tears in his eyes knowing that his son can smile once again. After opening a bottle with his front tooth he realized what just happened. 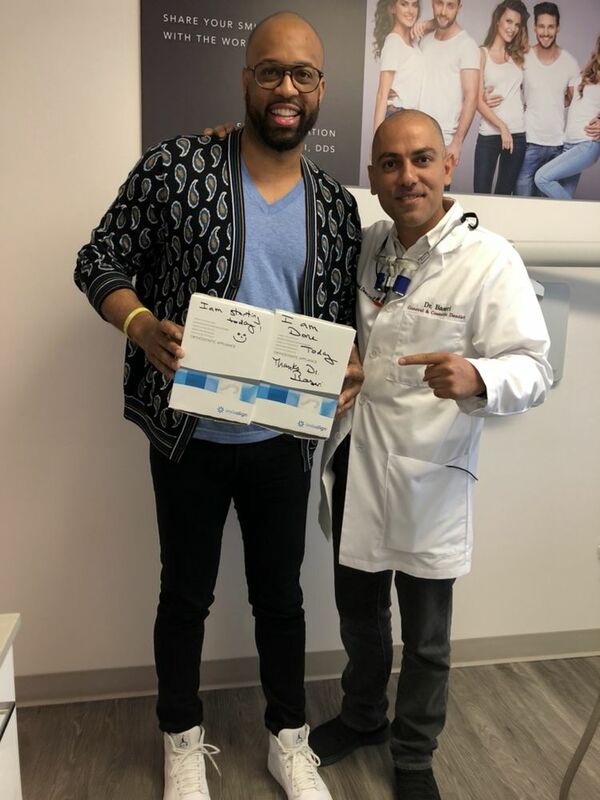 "Thanks to Dr. Baseri for restoring my smile and my from tooth. Now I can smile again". Teeth Whitening in 1 hr. 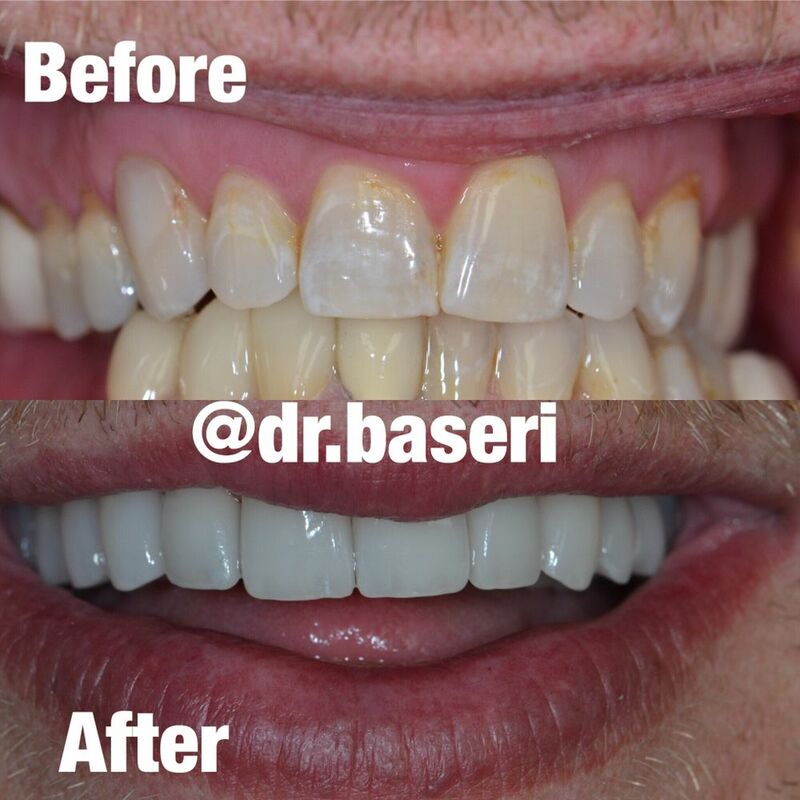 Dr. Baseri will complete your full dental examination before your teeth whitening. Take advantage of seasonal specials, Bride and Groom specials. 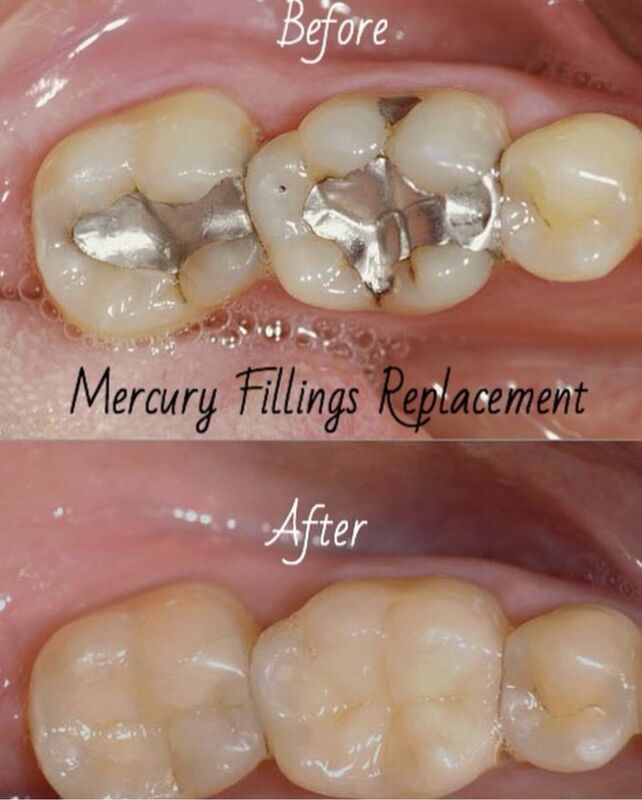 Anniversaries or any other occasion; we are here to help you with your dream smile. The broken front tooth due to skate boarding was repaired with porcelain crown. The color was matched via custom shade. 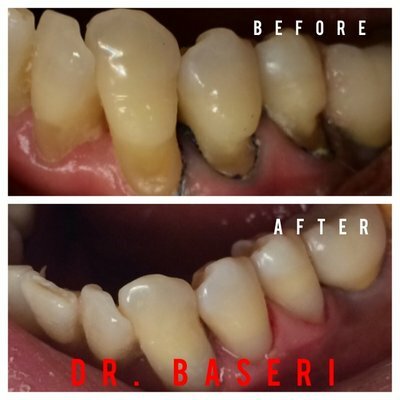 The patient's smile and confidence is restored by Dr. Baseri.